Saint Columba's House is an urban contemporary Christian retreat and conference centre just 30 minutes by train from the heart of London and a mile from the centre of Woking. When the weather is favourable, there are plenty of outdoor spaces to break away to. 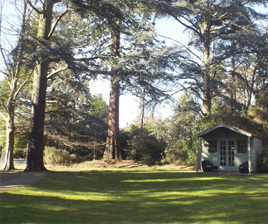 The Poustinia summer house overlooks our lawn and pond and is a perfect, quiet place to hire. We offer modern, practical, affordable spaces to provide the best experience for your team. St Columba’s House would love to welcome you. You may be looking for a place for your group, or an individual retreat or quiet day, or perhaps you would like to join one of our house programme events. 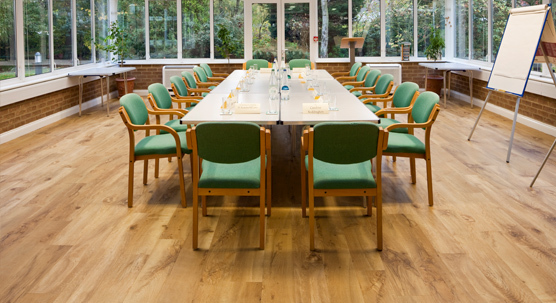 We offer excellent meeting rooms, en-suite accommodation, home cooked food and worship space for your retreat, business meeting, seminar or conference. Providing you with relaxing, light, modern spaces in an urban setting with wooded grounds. Proudly rooted in the Anglican tradition, we warmly host people of all faiths and none. Saint Columba's House is an ideal place to have your team meeting and our excellent rail/coach links make travel here easy. 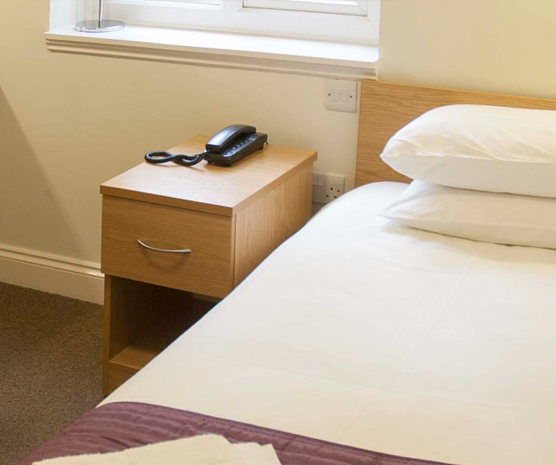 All our bedrooms are newly refurbished with en-suite facilities, helping you feel fully refreshed.